The Delaware Supreme Court has affirmed that Viacom owes roughly $300 million to former shareholders of Rock Band studio Harmonix. Viacom's effort to dodge a $300 million payout to former shareholders of a company it unloaded in 2010 has suffered another blow thanks to a Delaware Supreme Court ruling affirming that the company does in fact owe the money. That ruling affirms previous similar rulings by both an arbitrator and a Delaware Circuit Court judge which had granted the former Harmonix shareholders $299 million in "earn-outs," plus interest. 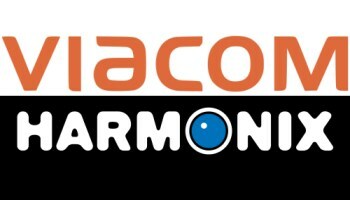 The dispute between Viacom and Harmonix has been ongoing since September 2011, when Viacom sued former Harmonix shareholders in an attempt to get back nearly 90 percent of the $150 million in bonuses it had paid out in 2007. The suit claimed that money had been paid out based on preliminary calculations and that the actual amount owed was more like $18 million; Harmonix shareholders, meanwhile, filed a suit of their own, claiming that Viacom had cooked the books to minimize the amount it owed and was withholding bonus payments for 2008. The matter went to arbitration, where it was decided that Viacom owed $383 million to the former shareholders. Harmonix appealed that decision to a Delaware court and lost, and now it's lost again. Viacom still has options, including an appeal to the U.S. Supreme Court, but given how the wheel has turned so far it looks like sooner or later it's going to be cutting a pretty fat check.